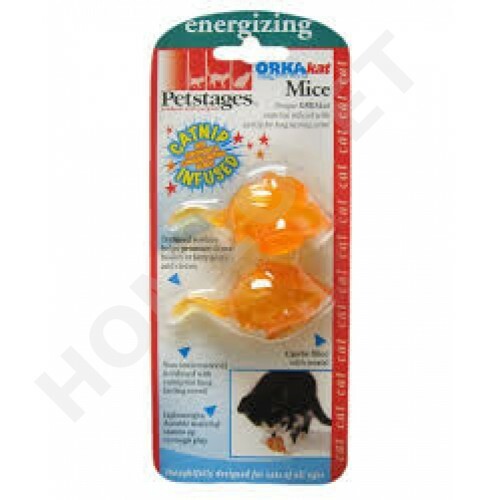 Petstages Orkakat Mice cat toy with Catnip scent, the unique Orkakat material can be stuffed in the bottem with treats for added interest and fun. The textured surface helps promote dental health. 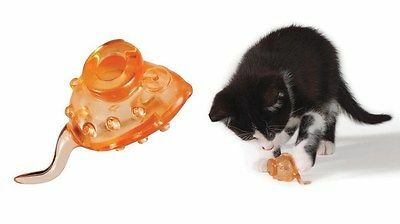 Non-toxic material is infused with catnip for long lasting scent! Can be stuffed with treats too!